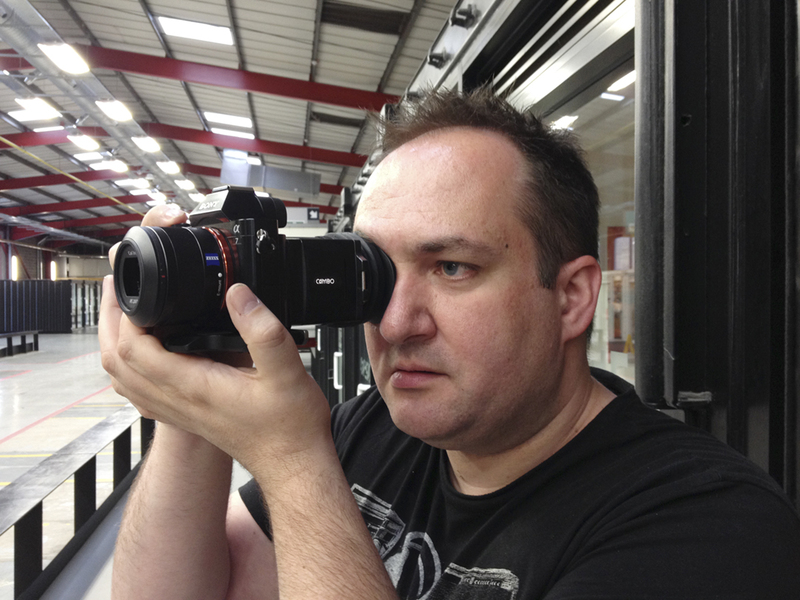 It’s the age of the mirror less cameras and the Sony Alpha 7/R is a great piece of kit for stills and video shoots. This camera system is ‘Ultra Compact’ and although lightweight reminds me of my first 35mm SLR, the feel of the camera is solid and so small! 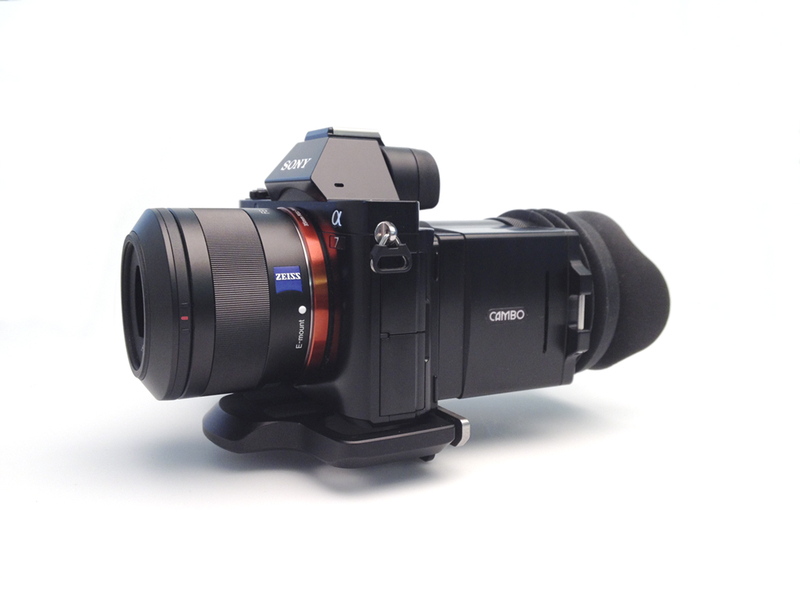 As with all DSLR systems Cambo has a loupe for the Sony A7 and 7R. If you’ve seen the Cambo loupe you will already know about the 3x Schneider lens, the soft eyecup and clip on frame function. For those that have already bought a loupe, you will know the lens is sharp, no distortion, no colour shift and its truly the best you can buy on the market today – if you don’t believe me, check out the loupe at your nearest stockist – its the best! 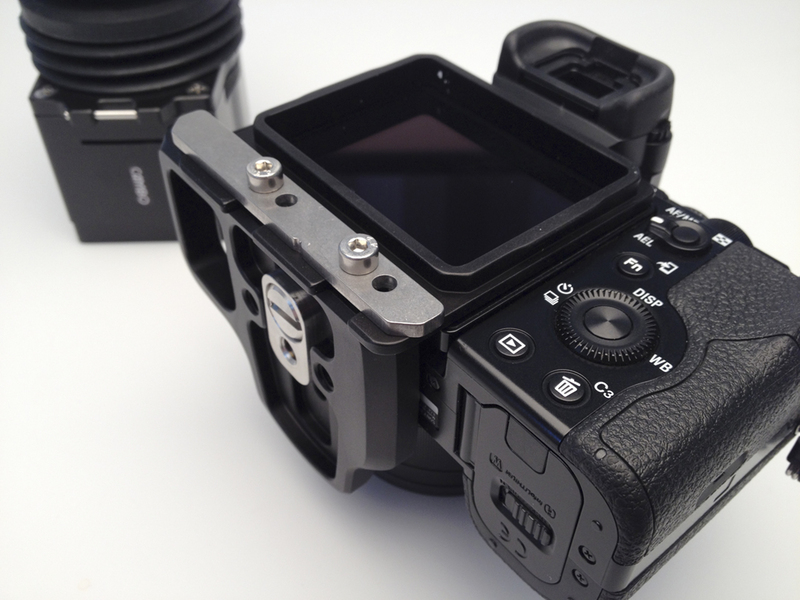 How does the loupe fit to the camera? Insert the frame in the baseplate and tighten the hex bolts. Offer up to the base of the camera and slide the 1/4” thread to fix. At this point you can move the frame around to make sure you can view all of the screen. The A7/7R has a 7.5cm (3.0”) TFT screen. Clip on the loupe and adjust the dioptre. Why us the loupe on a Mirror less camera? Gareth from doodledoMOTION tried out the loupe and said “Its definitely more comfortable to hold and shooting video with the cup up against the eye feels much better” he continued “in bright sunlight you are less likely to get stray light which makes shooting easier and you can see exactly where the camera shooting area is”. The Sony loupe is available now from Cambo, product code 99211132. Includes Loupe, Baseplate, Frame, Eyecup, Lanyard & Lens cap. Priced at €360.00 / £299.00 + TAX/VAT and shipping. This entry was posted in General and tagged Cambo, CS-33 Loupe, CS-Loupe, doodledomotion, Loupe, Schneider, Sony, Sony Alpha 7, Sony Alpha 7R. Bookmark the permalink.